In 1995, long before Vampire the Masquerade 5th Edition was a gleam in White Wolf’s eye, I was the epitome of “gothic punk”, with my chain wallet, all-black clothing, and a tee-shirt for a famous gothic record label. 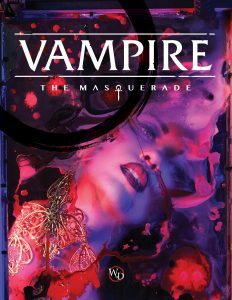 I had played other tabletop role-playing game titles, but I will never forget the night that I experienced Vampire: The Masquerade. My friend had brought me along to a sandwich shop in Omaha, Nebraska, and while we waited patiently for the man who would become my first White Wolf Storyteller to end his business for the day, it felt like being an extra in Fight Club waiting for Lou’s Tavern to close. Once the lights dimmed and the sign flipped to “CLOSED”, the books opened, and I played a roleplaying game that spoke directly through my faded, black tee-shirt into my tragic, black heart. White Wolf had introduced an intriguing soap opera of horror, intrigue, and bloody nights that was fascinating to play and to read. It was an ongoing story of vampire politics dating back to pre-biblical times, and with it came a rich history of vampire clans, the political and spiritual sects they’d divided themselves into, and the actions of ancient vampires recorded in the game’s canon as being the secret influencers of both mortal and vampire history. When it was announced that the game would be ending in 2004 with an event called “Gehenna” (A supernatural apocalyptic event), I was sad to see it go. It felt like a cliffhanger moment of a cancelled television series. it truly the end of Vampire: The Masquerade? 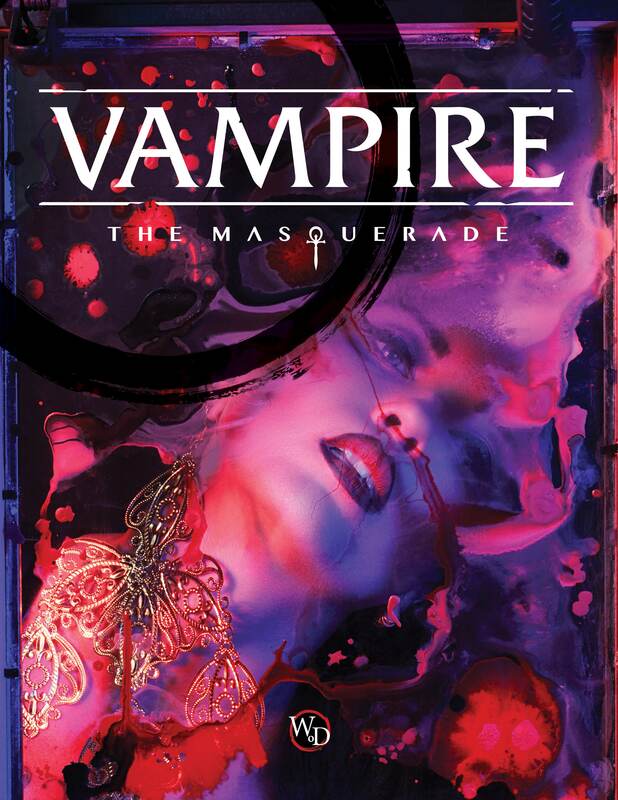 White Wolf Entertainment Interactive acquired the rights to White Wolf in 2015, and a few years later my question was answered with a resounding: “No.” Vampire: The Masquerade 5th Edition, or “V5” for short, was going to be released. I was fortunate enough to get my hands on a copy for review. Would this be my old love coming into my life with a shiny coat of paint and a bloody-fanged smile, or would it be an attempt to resurrect a setting that I should have let go in 2004 when the books had told me that it over? This, I imagine, is the same curious question weighing on the hearts and minds of the worldwide fan base of the Vampire: The Masquerade before this game’s 2018 release date. White Wolf Entertainment comes out of the door swinging for blood. The first 32 pages of the book introduce the world through little pieces of flash fiction that I recommend everyone read. This section is entirely in-character, containing letters, secret memos, and spy-grade reports that give an update as to what has happened between 2004 and today. This section serves as an emotional example of what the world of V5 has become, and seasoned veterans of the game will find mention of some famous canon characters in this section. My favorite piece comes at the end, with a full-page photograph of a neon sign that reads: “DEATH IS NOT THE END”, which felt like White Wolf Entertainment’s better answer to my question if Vampire was finished. I won’t spoil the setting, but this new era White Wolf Entertainment has given Vampire The Masquerade is exciting. Times are tough. A new worldwide “Second Inquisition” is on the offensive against vampires, and the power flux between the game’s three main sects of vampires has shifted. Old vampire-run networks that provided security aren’t as reliable anymore, and it paints the new setting in a light that vampires need to fear exposure to the outside world. There are new threats, old threats returned, and some of the vampire clans seem to have old enemies knocking at their doors…or through their blood. If you are a veteran player who felt that there wasn’t enough inherent risk outlined in the setting’s previous efforts, I think you’ll be pleasantly surprised. On the other hand, if you’re the sort of Vampire player who prefers a vampire who owns the police and has little fear of ramification from making mistakes, then you will face disappoint. V5 makes it very clear that this new setting is about the struggle to continue in a world that is trying to extinct your kind. Death may not be the end, but is sure as Hell is scarier on the other side. It seems that White Wolf Entertainment has taken a look into some of the gray areas of older Vampire releases and made some improvements, while keeping most of the old system intact. The driving force behind some of these new dice systems seems to reiterate that the player characters are monsters, have internal struggles, and these struggles are a regular part of gameplay. The book makes it very clear that you are playing monsters, not humans with vampire powers. Real vampires don’t sparkle, right? Older versions of Vampire revolved around an economy of blood and willpower: blood to fuel your powers and willpower to keep the beast at bay. In a clever move, V5 has updated the economy to include hunger. Hunger is now a constant variable in your dice rolls, and includes some very well-defined rules for when and how a vampire loses their control. One of my favorite new terms in V5 is called the “messy critical”, where your success is critical, but it is a hunger-driven critical. When a hungry vampire wants information…I’ll leave this to your imagination. White Wolf Entertainment has also updated the list of clan banes. 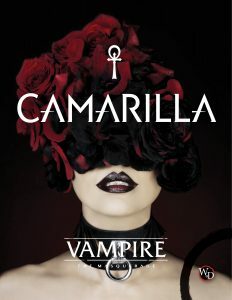 Each vampire clan descends from one vampire, and his or her personal curse burdens the younger generations. V5 has updated the clan banes to be more impactful, and in most cases can affect dice rolls. While I find these clan banes challenging, exciting, and harder to ignore, there will be veteran players who will feel the impact of some of these changes. Clan Tremere players? You will know what I mean. Other new rules include Blood Resonance (how emotion flavors blood) and a wealth of gameplay resources for city design, coterie (the group of PCs) design, and character generation that includes some life-pathing and the ability to tie your character to famous canon elements of the story through a system called “Loresheets”. White Wolf Entertainment has definitely done a lot of the legwork helping Storytellers and players flesh out their gaming experiences. I’m going to play the Hell out of this game! The Masquerade is BACK! White Wolf Entertainment seems to have written this game as a love letter to the setting, clans, and drama that I loved, too. This book is gorgeous and upholds the IP’s standard of being filled with artistic fiction and imagery to help prime the roleplay setting. The design of the pages is clean and easy to read, the rules are precise, and it’s a powerful addition to the history of the game. I love the hunger system and the rule changes feel like upgrades to the existing engine. 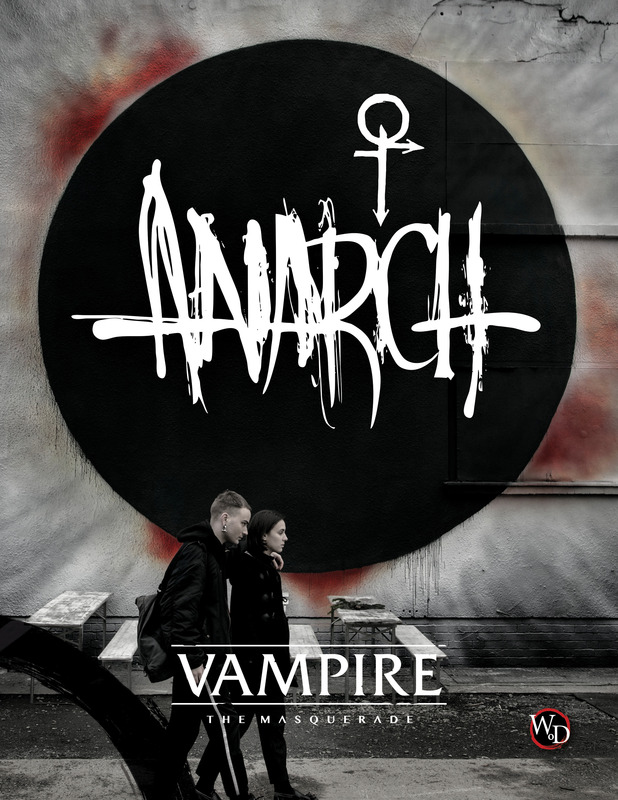 All in all, this game is a rallying cry for lovers of vampires, horror, romance, and all things gothic-punk to unite and share stories with one another. ← Invisible Sun RPG Initial Unboxing! Win A Free Copy of Eoris Contest Ends at Midnight! December 15, 2010 trask Comments Off on Win A Free Copy of Eoris Contest Ends at Midnight!